We offer undergraduate, Honours, Masters and PhD places as the Department of Medical Biology in the Faculty of Medicine, Dentistry and Health Sciences of The University of Melbourne. A number of PhD positions are advertised each year in all research fields across the institute. Explore your options and contact a potential supervisor to discuss a research program. Draw together your experience in science, biomedical, health, mathematics and computation science studies. Our Honours projects are advertised each year, contact your potential supervisor to discuss project details. 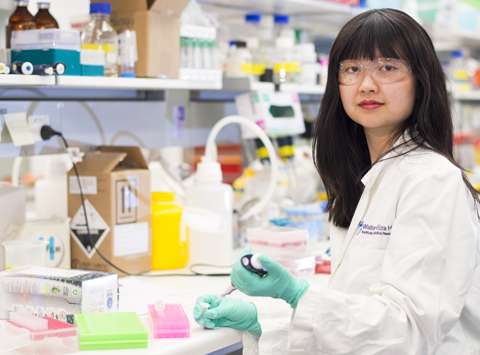 We offer research training in certain fields, particularly bioinformatics and computational biology, to Masters students enrolled in certain University of Melbourne Masters of Science courses. An opportunity for undergraduate students to experience a research laboratory and gain insight into careers in biomedical research. Our student projects are updated annually and are submitted from each institute research area. Potential students are encouraged to contact supervisors and attend our open day to discuss placement. Meet our researchers and students, find out about our exciting research opportunities, see our world-class facilities at our Student Open Days: 4 and 10 September 2019. The Walter and Eliza Hall Institute student association represents the students in academic issues and organises student activities. School students are encouraged to participate in discovery tours and talk to our scientists to find out about careers in science.